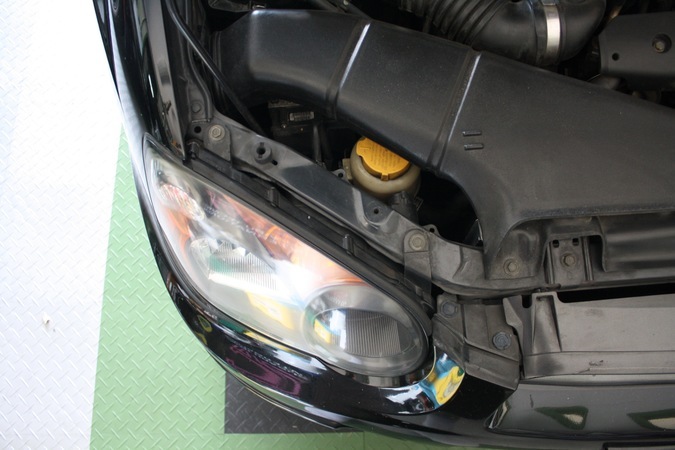 Replace a burnt out front position lamp aka: parking lamps, parking lights, or front sidelights on a 2002-2004 Subaru Impreza, WRX or WRX STI. These little bulbs are a bit difficult to get to because you can't simply reach behind the housing to reach them. This quick guide will get you safe again. The grill is held in by 2 different types of clips. Unclip the 4 at the top of the grill using a thin bladed screw driver to gently push down on the tabs. The other tabs are on the lower outer corners of the grill. Press down on the clip using a long screw driver aimed down from the top of the grill using the access holes. Slowly pull the grill forward, usually some of the clips will re-attach, just work your way across the panel removing the clips as you go. 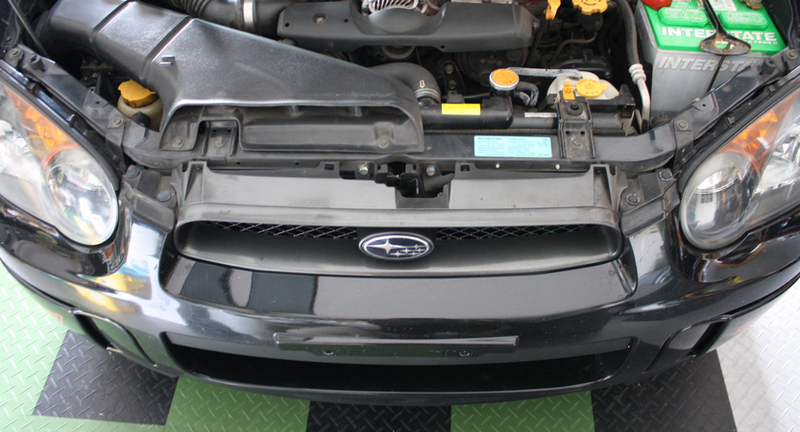 Remove the 3 bumper fasteners to gain room to move the headlight outward. The 3 clips open by prying to top center pin up then pulling the whole fastener out of the hole. 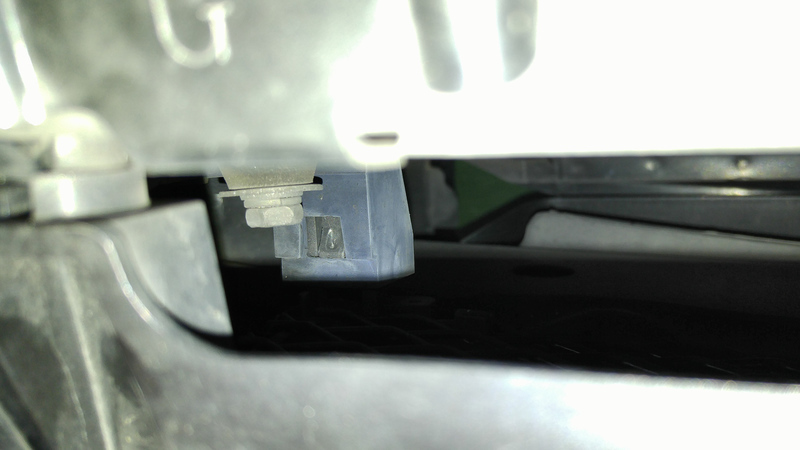 The headlight itself is held in with 3 10mm screws and 2 post clips. Remove the 2 10mm screws on the top of the housing. Remove the 1 10mm bolt near the grill we just removed. Prying with your fingers, pull the headlight straight forward out of the car. The 2 post clips are on the outermost side. If you can get your fingers to grab the outer edge near the fender and the inner front near the grill, you should be able to wiggle and pull the housing out. Once it's lose, you're good. 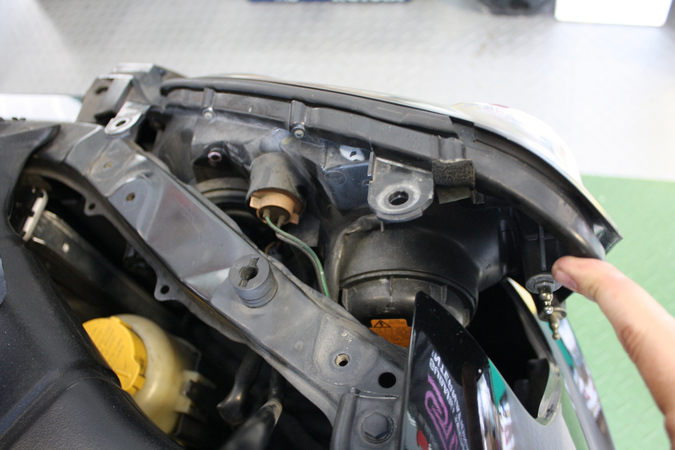 You do not need to completely remove the housing - just get it far enough out to gain access to the bulb. Twist the bulb connector on the back of the housing counter clockwise and remove from the housing. Pull the burned out bulb out of the wire harness. 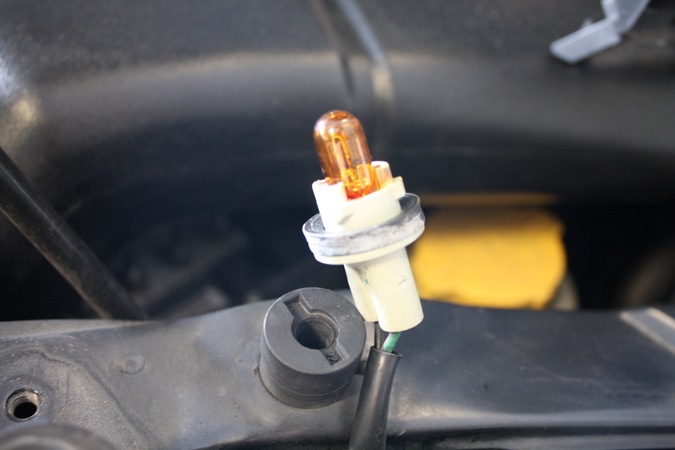 Insert the connector into the head light housing (note the orientation of the prongs when re-installing). Turn clockwise to lock in place. 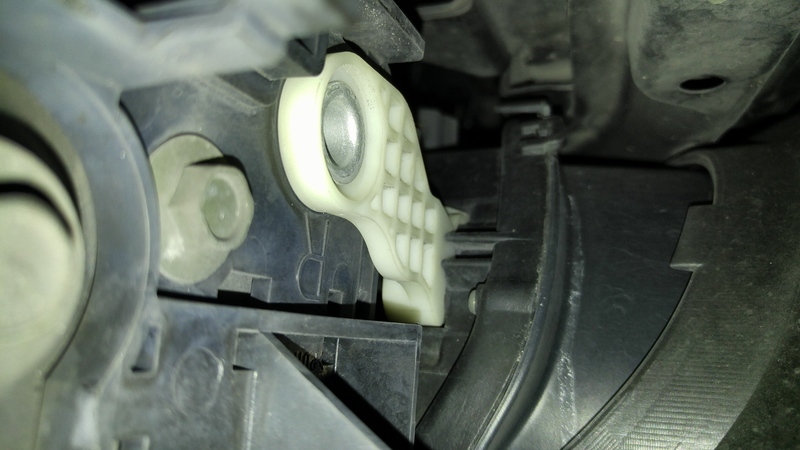 Turn on the parking lamp switch on the top of the steering column to test functionality. 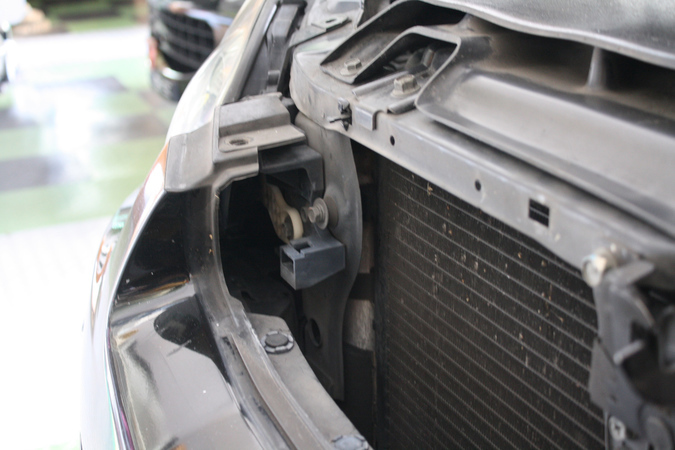 Line up the clip studs and press the headlight housing back onto the car. Using the broad palms of your hands, press on the housing back in till the clips do their thing. Re-install the 3 10mm bolts (2 on top, 1 behind the housing near the grill. Line up all the clips on the grill and snap it back into place.